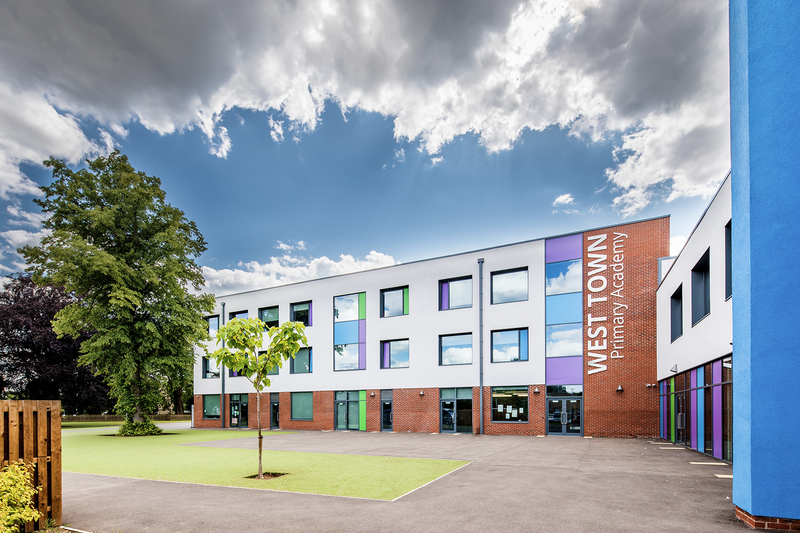 West Town Primary Academy is a new 3FE school, sponsored by Cambridge Meridian Academies Trust, built over 3 storeys on a tight site in the centre of Peterborough. 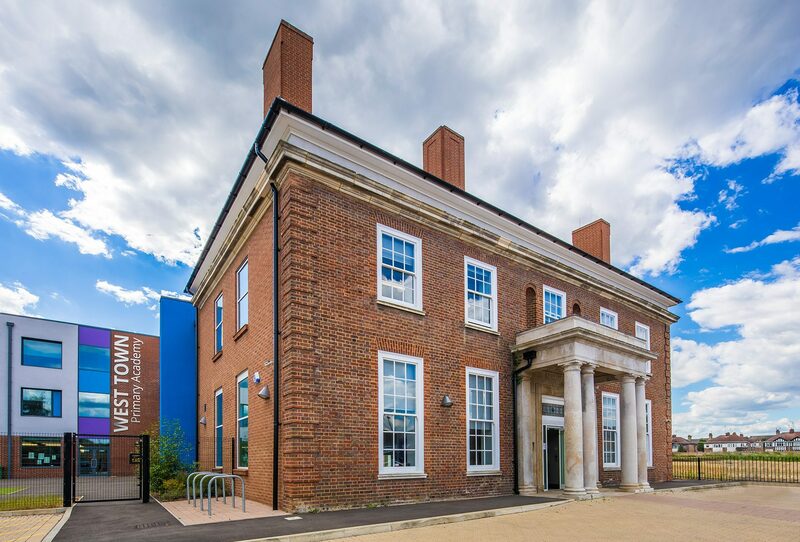 Built on a Brownfield site formerly occupied by Peterborough District Hospital, the site incorporates an existing local landmark building, The Memorial Hall, which was built in 1928 in remembrance to the 1914 – 1918 Great War. 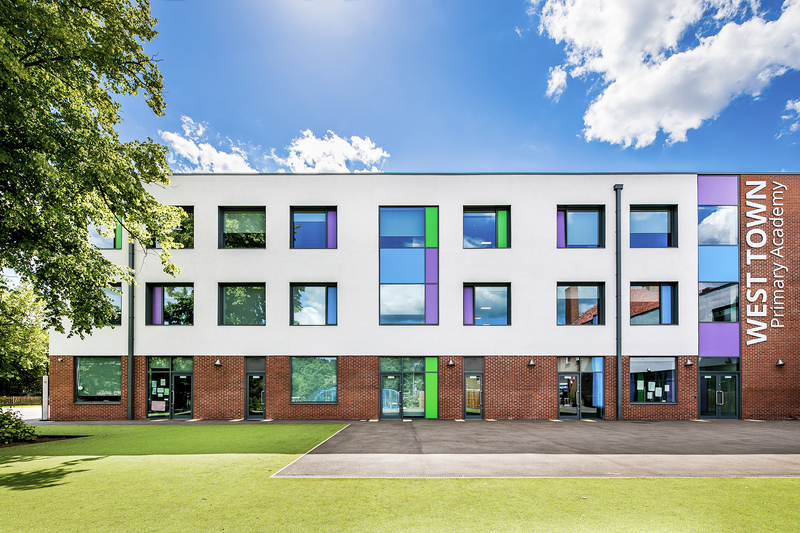 A key part of the development was to integrate the Memorial Hall into the new school whilst retaining its prominence as a Memorial building. Over the years, the Memorial Hall acquired a number of visually insensitive extensions. These have been demolished so the original frontage and footprint of the Hall can be retained. 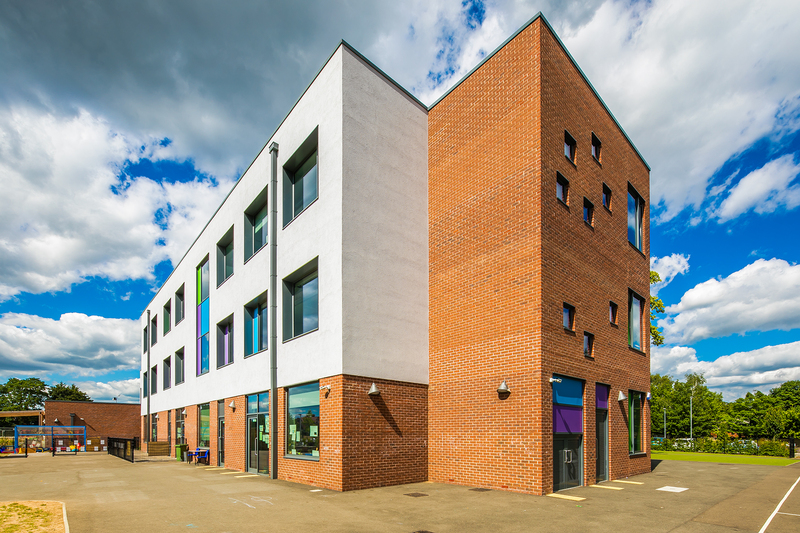 The solution required the integration and development of the standard 2FE, 2 storey model into a 3FE School over 3 storeys on an historically sensitive city centre site. 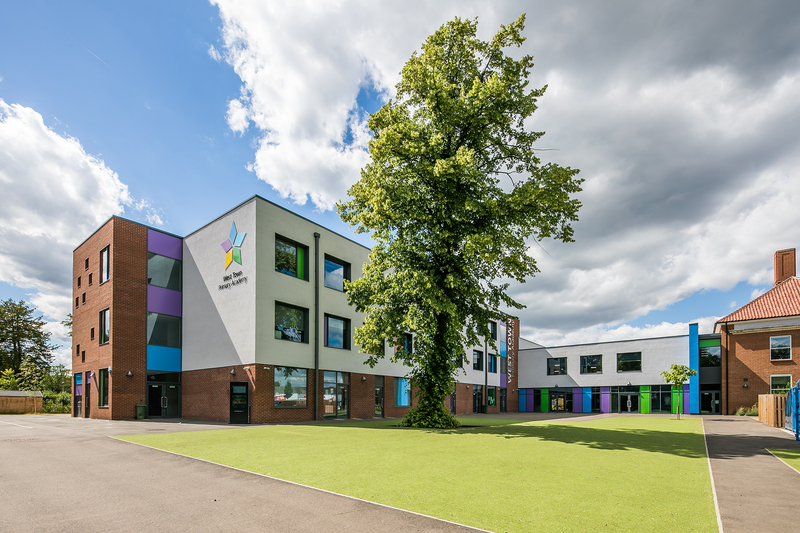 This required us to understand and develop the educational requirements and to work closely with the EFA, Peterborough City Council, and Peterborough Planning Department guidance. As a key building on one of the main routes into Peterborough, the design seeks to present the existing Memorial Hall as a building of prominence and historical importance whilst looking to create and develop its own identity as a primary school.